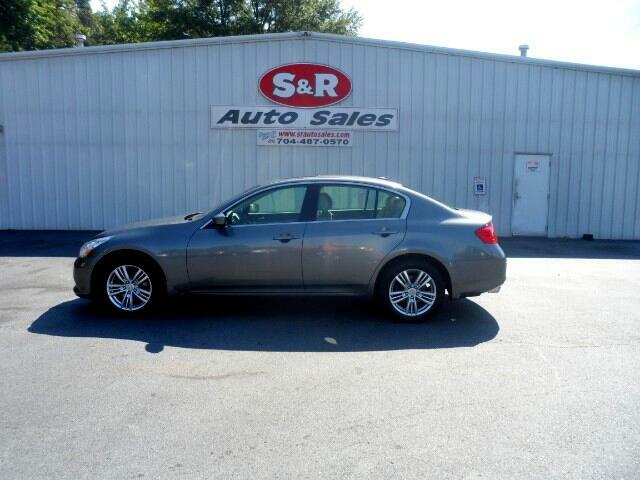 Beautiful Infiniti G37 luxury sedan that offers a lot for your money. Fully loaded including leather seating and trim. Solid built. Sharp handling; muscular It's a perfect mix of quality, style and road hugging power that leaves any driving enthusiast breathless. Beautiful elegant and sleek exterior. Classic interior style. Superior audio sound system. As it goes, when rubber hits the roads, no other vehicle in its luxury class stands out more than this Infiniti G37 sports sedan. Come or call now to schedule the test drive of your dreams.